(05-15-2015, 02:23 PM)Endgame Wrote: Huh, I went from 1 to 3 points for doing it today. o.0 before midnight in KR and after midnight? yeah possible? Maybe 2 points on weekend? Need to confirm this on Monday. guess it is really 2 points for weekend. KOG says Magical Wardrobe will remain KR only because they feel it "brought no value to the game". 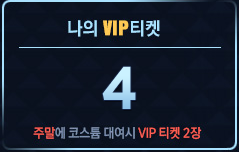 (05-17-2015, 03:23 PM)Endgame Wrote: KOG says Magical Wardrobe will remain KR only because they feel it "brought no value to the game". We all know its because "will prevent players from buying the same stupid accessory from the same item mall at the same price multiple times".